Only in Finland could the country’s President turn up to a book fair discussion on equality, find there were no seats, so sit himself down on the steps to enjoy the show. 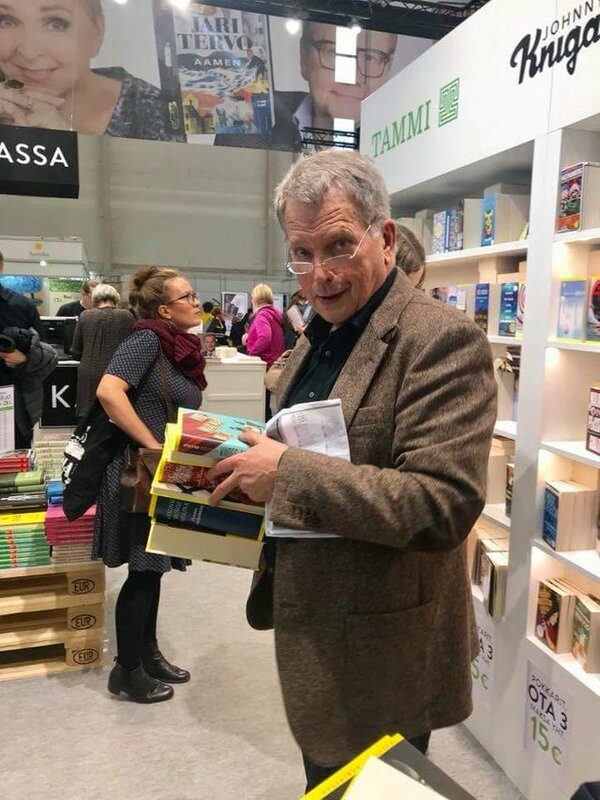 It happened this weekend at the Turku Book Fair in southwest Finland when first President Sauli Niinistö was spotted buying books. No, no security in sight, and yes, he was buying books he wanted to read, not books for a staged photo-opportunity. In fact the press only knew he’d been to the book fair when pictures appeared on twitter and Reddit. 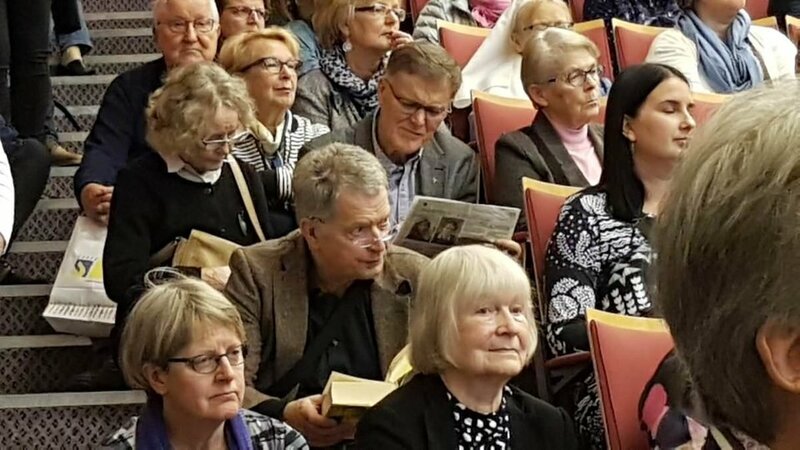 Next came a talk on equality, but by the time Niinistö had paid for his books there was not a seat left. So he squeezed in alongside other latecomers on the steps. And by the look of it he made a start on one of his new books while waiting for the show to begin.